I hear quite often from photographers who would love to shoot or experiment with film, and many have gone so far as to purchase a film camera, but have then come to a grinding halt. If you are anything like me when I first bought a Rolleiflex last year, you may even have youtubed loading your first roll of film and successfully got that baby in there. But perhaps (like me and the Rollei) that is where it's all stalled. It's so much easier to keep returning to what you know. You've heard it's expensive. What if you make a mistake? And you're so busy, you already have clients to take care of, and your own family to nurture, the film 'thing' can wait til summer/quiet season/the holidays. I know that the trickiest part of getting started in film is actually just getting started. I've put some thoughts and tips and ideas together, which I want to share over the next few months whenever I can make a little free time, to help you to get some film rolling through your camera, so you too can get a feel for the beauty, simplicity and freedom (as well as the rules) of this medium. I know this because I've been there, and because once I got it happening, film changed my everything about my photography. "What film camera should I buy?". Well, that's exactly like asking "what digital camera should I buy?" and so of course there is no one right answer. 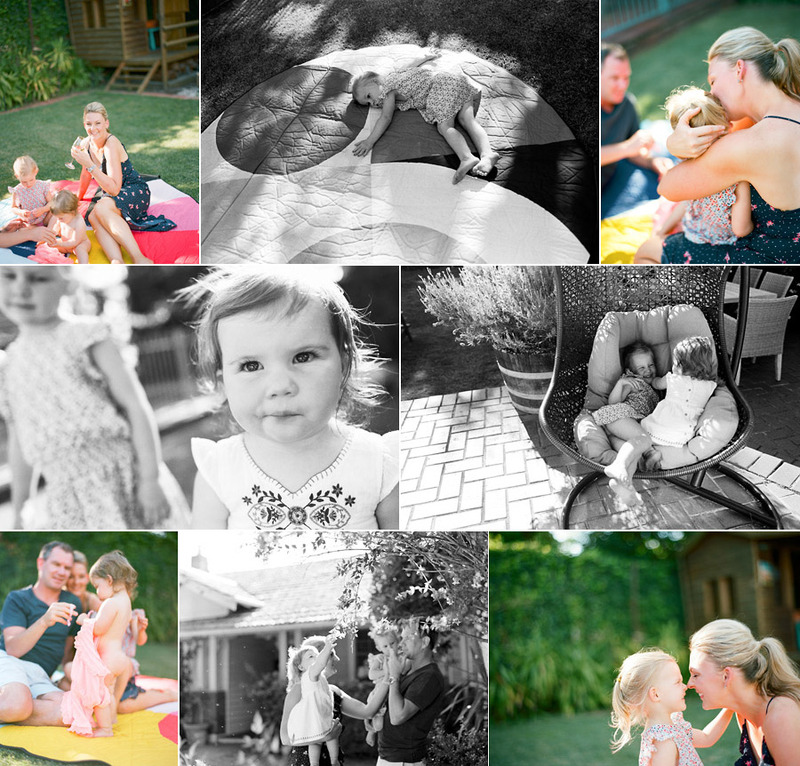 But in my experience, if you are already a family lifestyle photographer, and you are interested in exploring using film for either your own family, or in your professional work, there are a few suggestions I can make which might be helpful. For what it's worth, the Canon EOS3 also gets good reviews. If you shoot Nikon, sorry I can't help, but google will sort you out in under 5 seconds I'm sure. I recommend the purchase of your first film cameras from reputable resellers such as KEH (link above) or B & H (both in the US) or local sellers such as Camera Exchange in Melbourne, rather than ebay, but if you must ebay I've had more luck with sellers in Japan than anywhere else, and I only ever go with sellers with high numbers of sales, that way I can have some trust in their assessment of the condition of the camera. If you buy from overseas, you may have to pay import duties, so factor that in to your costings. Now that we have 35mm film cameras out of the way, the big ticket item everyone always asks about are the medium format 645s (so named because they produces negatives which are roughly 6x4.5cm) made recently famous by Jose Villa and then a billionty wedding photographers since. A Contax645 will set you back at least $3K, if you can find one, there are also many fans of the Mamiya645 and Pentax 645 ranges, and they are well worth investigating. Another great place to head for research is Ken Rockwell, guru of cameras film and digital (and so probably that is not news to anyone), but also spend some time 'researching' your favourite film instagrammers (researching/stalking same-same), and look at the cameras, film and techniques they are using. Now of course, there is an endless list of amazing cameras beyond these, some of my own favourites are my NikonosV underwater camera (35mm) and my indestructible BessaR2M rangefinder camera, as well as the Rollei I mentioned above which I now use fairly often in my personal work. The great thing about many of the old film cameras is that they are relatively inexpensive. Hello Holga! I buy film either in bulk from B & H in the US, or locally from Ikigai camera. To start with, I would recommend the use of Kodak Portra400 or Fuji Pro400H colour films because they have high latitude. Wait....what? Latitude. It just means that you can stuff your exposure up somewhere roughly between 2 and 4 stops without necessarily losing your shot. They are forgiving and kind, which is great for beginners and lifestyle photographers who need to move really fast, and don't want to miss a beautiful non-repeatable moment between a 3 year old and his newborn sister while fiddling with exposure settings! Once you've mastered these, there are lots more beautiful films to try, but these will get you going, along with my recommendation for BW film, which is Kodak Tri-X400.These are considered medium-speed, all rounder films, and I still use the Portra400 and the Tri-X almost exclusively for client work, although I will have some fun with the Ilford Delta3200 if I think my client might enjoy those. I will definitely do a little 'guide to my favourite films' (with pictures) over the next few weeks, but for now, take my word for it, and buy a couple rolls of these easygoing beautiful films. TriX400 and Portra400 are ideal for both indoor and outdoor use. So, put a roll of either of the Portra400 or Fuji400 into your camera (Youtube might be the resource for this if you're not sure how), and then here is my recipe for success for your first roll of colour film: grab some models (ok, we all know I mean your kids) starting around 2 hours before sunset in an area that is fairly open, such as the beach or a park, set your camera manually to 125th of a second at f2.8 and shoot either backlit or sidelit images. Shoot the whole roll!! Have fun. Pull back, walk in close, get that roll finished there and then. Yes you could instead use an auto setting, or an aperture or shutter priority if your camera has any of these, but I would counsel that using those features doesn't really teach you how to understand light, which is vital if you are going to make a go of this shooting film thing and not cost yourself too much wasted film. As any digital shooter will know, allowing most inbuilt camera meters to calculate exposure on backlit images is a tricky business anyway, but if you do want to go with a semi auto mode I would suggest upping your exposure compensation by around 2 stops in this exercise. Once your first film is finished, I suggest you send it away immediately. I really think it is useful to have that feedback as soon as possible, before you put any more of the expensive stuff through your cameras. The buying and processing of the film really ends up being the expensive part of the film journey, and so for the first few rolls I feel like it's important to work quickly to finish the rolls, and get the feedback cycle happening, so that you can keep your momentum going. If you shoot one roll over a month, and then wait til you have a few rolls to send at once, it starts to get really hard to remember the conditions you were shooting in, and what you were trying to achieve in your image, and therefore limits your growth. If you are intending to send your film to a professional lab for development into sheet negatives and then scanning into digital negatives, then its important to understand from the start the impact that scanning has on the overall look of your work. It's huge! I have spoken to many film photographers who have become disheartened early in their film journeys (ok, also me) by receiving poor quality scans. At this early stage, go straight to a high quality lab, you can always switch to a local/cheaper one later once you have your confidence! I use Atkins Pro lab in Adelaide almost exclusively now, but I have also sent quantities of film to theFindlab in Utah US, and a few batches to Carmencita in Spain, with awesome results from both these labs too. However, why not support a local business which does beautiful work, and save the air miles while you're at it. It takes around 2 to 2.5 weeks from when I post film from Melbourne to receipt of the download link, which is the fastest pro lab turnaround I've been able to find. You probably need to experiment with film processing labs for yourself, and you should know that there are different scanners available at many quality labs (most notably Noritsu and Frontier) which will give slightly different results, all of which takes time to work out. I feel like probably the most important factor here is working over time with whichever lab you choose, to give them clear idea of your style and expectations in terms of the levels of contrast, warmth, lightness and tone etc that you prefer. I am passionate about film photography, the colour, tone and texture (#lookslikefilm? -it usually doesn't!) , as well as the way the process itself can encourage you to step out of your comfort zone to push yourself creatively, all the while helping you to establish a stronger creative voice and niche in a saturated market. Win-win! I hope to share more of my thoughts, experiences, and even perhaps a few projects others might like to join in on, over the coming months, to encourage you to explore a little further.